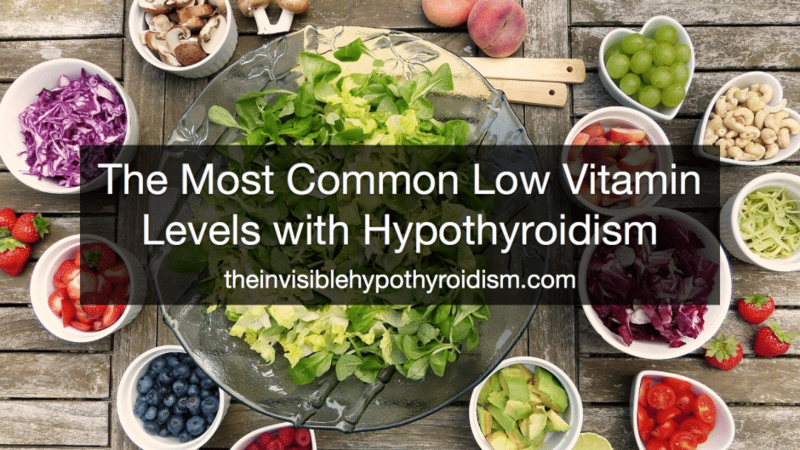 There are certain low vitamin and mineral levels that are common in existing alongside hypothyroidism, especially autoimmune hypothyroidism. It can be tied in to gut health and how well you absorb certain vitamins and nutrients, as problems with intestinal permeability can lead to numerous deficiencies. Below are the most common vitamin and mineral deficiencies that I suggest you check out if you’re still feeling unwell. You can also find a list of recommended supplements here, but please do not supplement unless you’ve confirmed low/deficient levels. They are either water soluble (not stored in the body and excess is lost immediately through urine) or fat soluble (can be stored in the body). For fat soluble vitamins, you need to consume fat in order to absorb them and reap the benefits. Perhaps the most common are low levels in iron or ferritin (stored iron), which can lead to dry skin, heavy fatigue, poor stamina, depression and even pale skin and dark bags under the eyes. I’ve been anaemic a few times myself and it presented with all of these signs. Iron deficiency also impairs thyroid hormone synthesis. 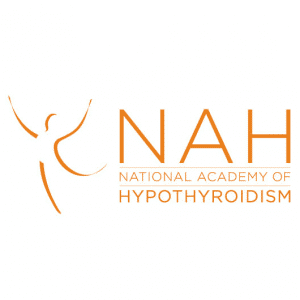 It is worth bearing in mind that as hypothyroidism mainly affects women, many thyroid patients will have low levels of iron/ferritin due to period issues such as heavy or long periods. Always have your levels of this mineral tested before taking a supplement as taking extra iron can be dangerous. Taking Vitamin C with iron triples the absorption rate. Selenium is not naturally occurring in the body, but is a trace mineral found in food and soil. 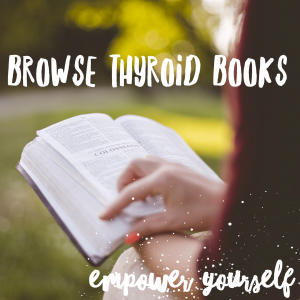 It is vital for the immune system, reproduction and thyroid function, including conversion of thyroid hormone T4 to T3, making it essential for good metabolic function. It is also an antioxidant. With low selenium levels, you could have symptoms such as brain fog and decreased cognitive functions, as well as a lack of energy and blood results that look ‘OK’, even if you feel unwell. You could also have low Free T3 as a sign that selenium is low or deficient, causing not enough T4 to T3 conversion. Selenium is also reported to lower thyroid antibodies, helping to manage Hashimoto’s more effectively. Being low in B12 can cause tiredness, fatigue, a sluggish metabolism and poor adrenal health. Vitamin B-12 and folic acid are both important for energy and heart protection. B12 is also needed in order to make TSH, a hormone secreted by the pituitary gland that instructs the thyroid on how much thyroid hormone to make. People with hypothyroidism often seem to struggle to absorb B12 and low levels in it can cause mental illness, various neurological disorders, neuralgia, neuritis and bursitis. A leaky gut and poor gut health could well be behind why so many of us have low levels. Vegan and vegetarian diets also pose more risk and taking excessive amounts of Vitamin C can also decrease the availability of B12. Low Vitamin D levels seem to be increasingly common, not just among thyroid patients but the general population as a whole. Low levels in this vitamin can cause depression, back pain, joint pain and stiffness, fatigue and poor immune system function. A Vitamin D deficiency can also stop T3 from activating your cell to increase metabolic rate (cold intolerance, low energy and weight gain). Vitamin D has also been shown to lower thyroid antibodies.
. It should always be taken with Vitamin K2. Vitamin A is fat soluble. A Vitamin A deficiency can stop T3 from activating your cell to increase metabolic rate and energy levels but it is also important for good immune system function. It keeps mucous and skin membranes healthy and aids ageing prevention. Vitamin A must be accompanied by protein to make it available to the body, so if you are on a low protein diet, you may be deficient in this. If you are low on Vitamin A, your ability to produce TSH is limited. This vitamin is also required by the body to convert T4 to T3. However, it is toxic in large amounts and pregnant women are even advised again consuming liver pate due to high amounts of Vitamin A contained in it and its links with birth defects. An antioxidant, vitamin E is a fat-soluble vitamin important for many processes in the body, including producing TSH. It is also important for the skin and is good for high blood sugar levels (blood sugar imbalances are common with autoimmune hypothyroidism). The mineral Magnesium is needed in order to make TSH and for the conversion of T4 into T3. It seems that a diet high in refined food and caffeine can encourage magnesium loss. Supplementing magnesium can also help cramps, constipation, energy and aches and pains, which are all common symptoms of hypothyroidism. 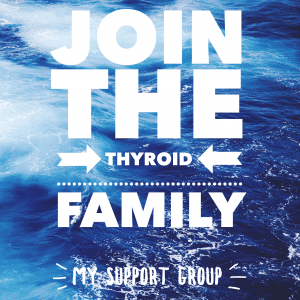 Without question, iodine is the most controversial mineral when it comes to thyroid health. Some say to supplement, others say not to. It is required by the thyroid gland in order to make the thyroid hormone T4, though, and not enough Iodine can actually cause hypothyroidism. 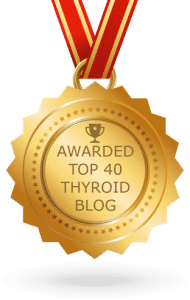 Iodine is required for the normal process of metabolisation of cells and is needed for a normally functioning thyroid – the production mechanisms of thyroid hormones. You can present with a goitre if you’re lacking in iodine due to thyroid cells enlarging. As recommended by Natural Endocrine Solutions here, for anyone who wants to try supplementing iodine, it is first recommended getting your levels tested, and then if it shows you’re iodine deficient, to start with a small dosage, along with taking antioxidants such as selenium and vitamin C, and magnesium. You can also find a list of recommended supplements here, but please do not supplement unless you’ve confirmed low/deficient levels. Doing so can do more harm than good and you should always consult your doctor first. 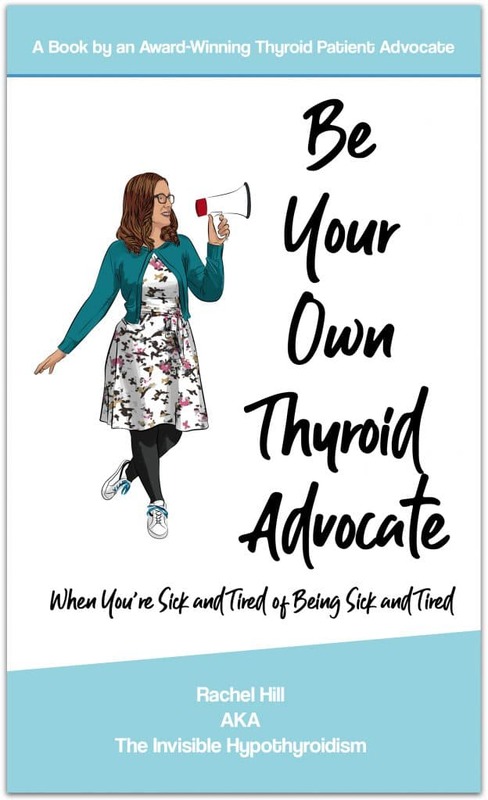 Previous Could a Thyroid Supplement Help Your Symptoms? I still feel tired all the time if I go bed earlier I will meet myself coming down the stairs, I have no thyroid due to removal several years ago due to graves disease,I’m currently on ndt and take selenium,vit d, multi vitamins I’m on 90mg of ndt, tried Levo and felt rubbish on that, please help me,I’m exhausted and I’m soo fed up of feeling like this. Hi Kerry, so sorry to hear this! I’ve been there too. 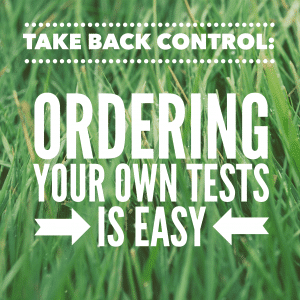 Have you had your vitamin levels tested recently and adrenals? Great information! I’m a 53 year old male that has suffered very long term with fatigue! I’m very active (yes, despite my low energy level) and eat healthy and being a non smoker. My medical history is a nightmare because of having gastritis at a young age and this inducing a B12 deficiency and ensuing anemia that had gone undiagnosed for eight very long years! I was an attractive young man that had been outright neglected and even mocked at times by doctor after doctor that had judged me rather than investigate my overwhelming fatigue and failing health. 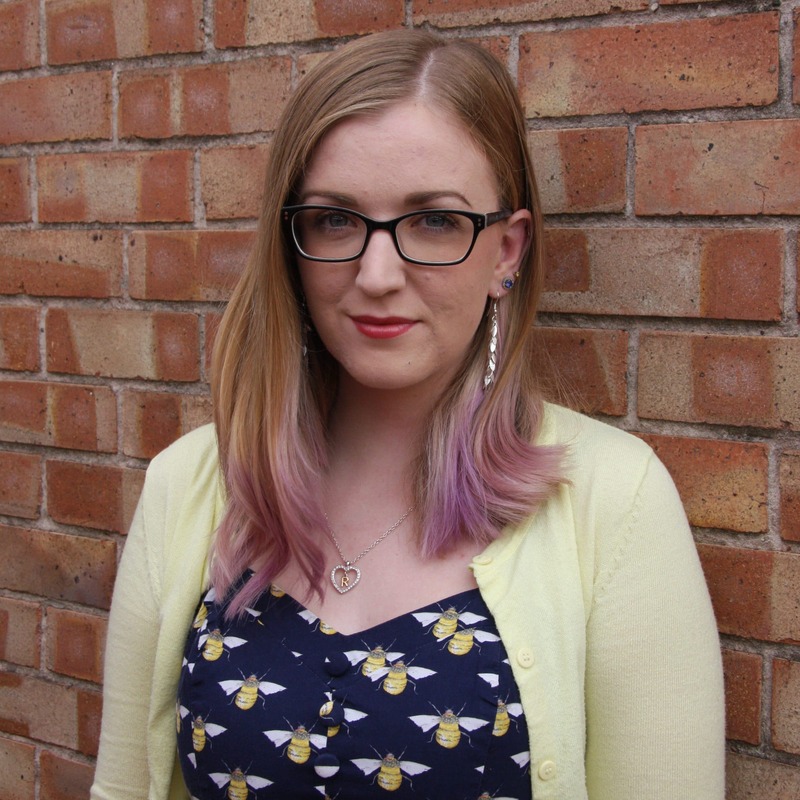 When I FINALLY had been diagnosed, I was desperately ill and in the beginning stages of organ failure, I was a mere 25 years old! B12 shots were started and my health had slowly begun to turn around, though soon I had been shown to have sustained adrenal damage caused by the years of being B12 deficient. 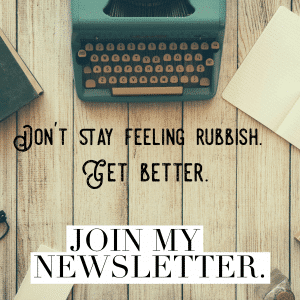 The adrenal damage had terribly affected me in every so many ways and cortisol replacement therapy had immediate results of improving my quality of life! Though, over the coming years, I never felt 100% and continued to be plagued with gastritis and severe reflux and also requiring meds for that. My life had slowly sank into that of social withdrawal, I had felt so nervous and anxious and simply did not wish to be around others! Over time, it was found that my iron, magnesium, zinc, copper etc. levels were low and supplements were of significant help in aiding my general well being. My adrenal function had then slowly been regained and cortisol ceased, thankfully! Though, the gastritis and reflux remained very long term until I had finally eliminated all irritating foods and beverages, I’m now also free of those meds ! As for thyroid function, yes I had low readings in the past, though doctors had never sought to thoroughly investigate despite my inquiries. 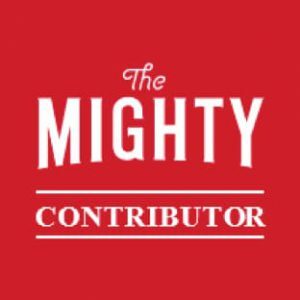 I take pretty much all the supplements that Rachel recommends and indeed, such is of great assistance, as many of these had come back as low in my blood work. Now, if I neglect my routine of such, I then slide backwards and feel very sluggish! Lately, I experience very itchy skin that welts up badly and have just noticed an obvious lump in the right side of my thyroid, in which I hope is a simple goiter and not something more sinister. Only now do I feel that my current doctor will indeed take my symptoms seriously, as an indepth thyroid examination will be necessary. I know this is long winded, but it goes to demonstrate of how hormonal levels, such as that of the thyroid can be affected by deficiencies. Rachel’s page has been very informative for me!